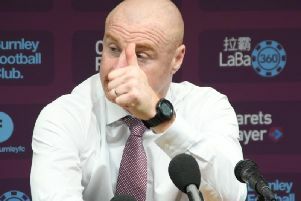 Sean Dyche’s Burnley will take on Lincoln City in the fifth round of the FA Cup. The Clarets were the first ball to be drawn out of the hat by England coach Gareth Southgate and they were followed shortly after by the Imps, selected by Robbie Savage. Goals from Sam Vokes and Steven Defour sealed a 2-0 win over Bristol City to secure th club’s progression to the fifth round for the first time since 2011. Lincoln, top of the National League, who recently sealed the loan signing of Clarets winger Josh Ginnelly, beat Brighton 3-1 at Sincil Bank in the last round. The tie will take place on the weekend beginning February 17th.